We custom built this cute little kids table out of pine. 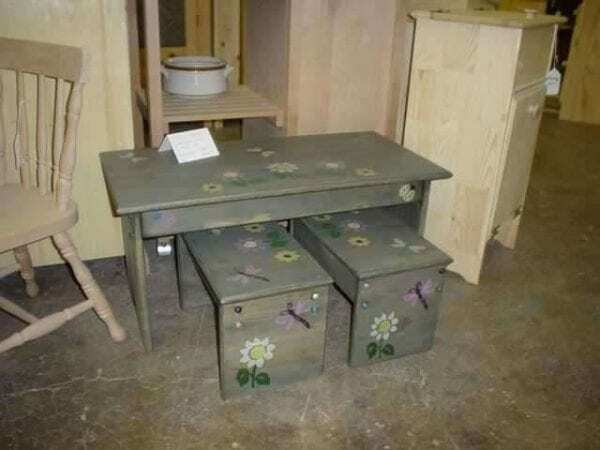 We then stained it with a semi-transparent green stain and then hand painted dragonflies and flowers on it. Way cute piece.